Who is involved in the Yaounde Initiative Foundation? The Yaounde Initiative Foundation was set up by a team of African and European personnel. Between them, they have a potent blend of scientific knowledge, technical expertise and developmental and managerial abilities. Other national and international specialists on the Cameroon Scientific Advisory Panel provide valuable technical support to the Foundation. 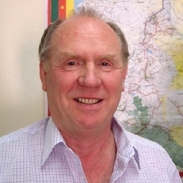 Graham Matthews is Emeritus Professor of Pest Management at Imperial College London and Technical Director of the Yaounde Initiative Foundation. His career began working on Integrated Pest Management of cotton in Africa from 1958 – 1972. Since then he has specialised in pesticide application technology as part of IPM at the International Pesticide Application Research Centre (IPARC) located at Imperial College London, covering a range of crops and vectors of human diseases. He was a member of the UK Advisory Committee on Pesticides. His role is to help develop integrated vector management strategies alongside effective crop protection in Africa. Professor Matthews is a principal editor of the international scientific journal Crop Protection and is author of several books on pest management and pesticide application. 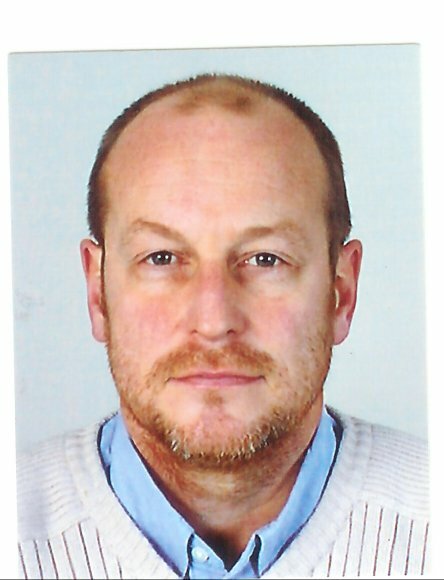 Pierre Baleguel Nkot, Managing Director Originally a specialist in Integrated Pest Management from Wye College, London, Dr Pierre Baleguel has wide practical and professional administrative African experience. He is a former Principal Technical Adviser to the Minister of Agriculture and brings with him 20 years of in depth knowledge of African rural development and programme administration. Terry Wiles, Strategy and Business Development Mr Terry Wiles is a tropical agronomist with wide international experience of rural development and technology transfer. He began his career at Katumani Research Station in Kenya and later spent 20 years as a technical manager in international industry and as an independent consultant designing and leading development programmes on cropping systems in Australia, and Latin America. Terry Wiles has initiated and managed many assignments and projects throughout the world, most of which relate to sustainable farming, crop protection and the environment. His experience covers government and private sector organisations and offers broad experience and a sound understanding of practical development in emerging countries. Hans Dobson, Programme and Operations Director A pest management specialist working for the Natural Resources Institute in the UK, a department of the University of Greenwich, with 36 years experience of research, consultancy and training in over 35 African, Asian and Middle Eastern countries. His background draws together agricultural zoology and agricultural engineering to produce appropriate approaches that are safe to humans and the environment. He brings skills in logistics, management and implementation of large-scale operations for control of pests and human-disease vectors, as well as capability in designing and implementing multi-level participatory training strategies. He is currently Adviser to the UK Government’s Chemicals Regulation Directorate on Pesticide Application and Fate in the Environment and has ongoing work with the EU’s Pesticides Initiative Programme, designing dissemination strategies and materials to promote adoption of better practice by small-scale farmers. Current work also includes management support on behalf of the World Bank to the Africa Stockpiles Programme in Ethiopia and managing the CropLife International obsolete pesticides programme across 13 countries. Professor Robert Cheke – blackfly specialist Professor Robert Cheke is a pest and vector control entomologist, and ornithologist. He has extensive experience on control of Simulium blackflies that transmit river blindness (onchocerciasis), as well as locusts and other migratory pests. He has also carried out environmental impact assessments of tsetse fly control operations and bird pest control programmes. He is Professor of Tropical Zoology, University of Greenwich, and Deputy Programme Leader of its MSc in Natural Resources. He has a postgraduate qualification in higher education and has experience in many countries of East, West and southern Africa. Dr Sarah Olembo IAPSA, African Union, Yaounde Sarah A.H. Olembo is the Assistant Director of the Inter-African Phytosanitary Council of the African Union, formerly the Organisation of African Unity. The Inter-African Phytosanitary Council (IAPSC) is one of the Regional Plant Protection Organisation, with functions similar to those of EPPO and other RPPOs in other continents. She presently deals with Plant Quarantine and Phytosanitary laws and regulations in Africa and is responsible at policy level for the Harmonisation, Advisory as well as Planning and generation of phytosanitary information for dissemination throughout Africa. Key among her recent achievements is revising and updating the African phytosanitary convention to bring it in line with similar International treaties (IPPC of FAO etc) and publication of Quarantine Pest lists for African. Jerry Cooper, Natural Resources institute, University of Greenwich, UK Jerry Cooper is a pest management specialist with 30 years experience in crop protection, especially in control of major vegetable crop pests. He conducts and manages research to improve safety and sustainability of pest control, and advises DFID on this subject. He lectures on Masters Courses at Medway, and delivers training overseas on pest management and insect vector control. He has worked in many countries, including Kenya, Yemen, China, India, Egypt, Zimbabwe, Somalia and Cameroon.